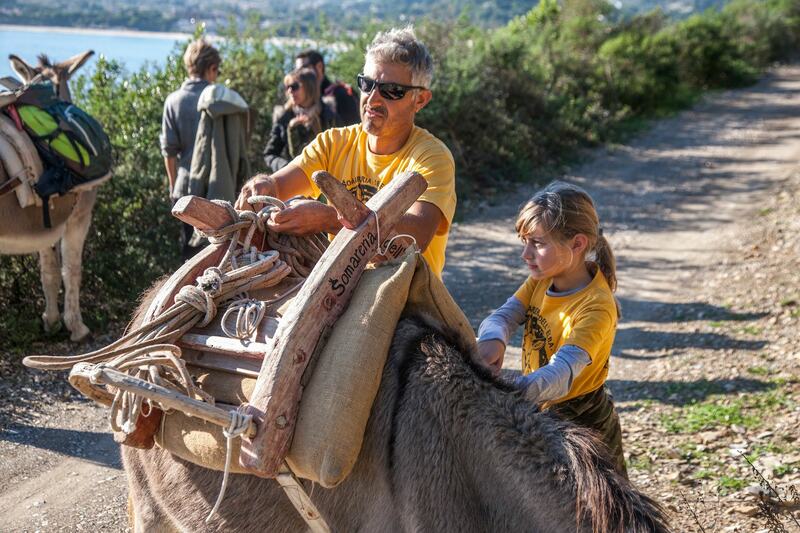 “Donkeys are adorable animals, because as well as being of great help in transporting heavy weights, they are docile, well-behaved animals with a peaceful and light-hearted nature, especially in the normal rhythm of our everyday life,” says Luca Giusti, an environmental guide and excursionist whose Somareria dell’Elba has made donkey trekking possible on Elba. 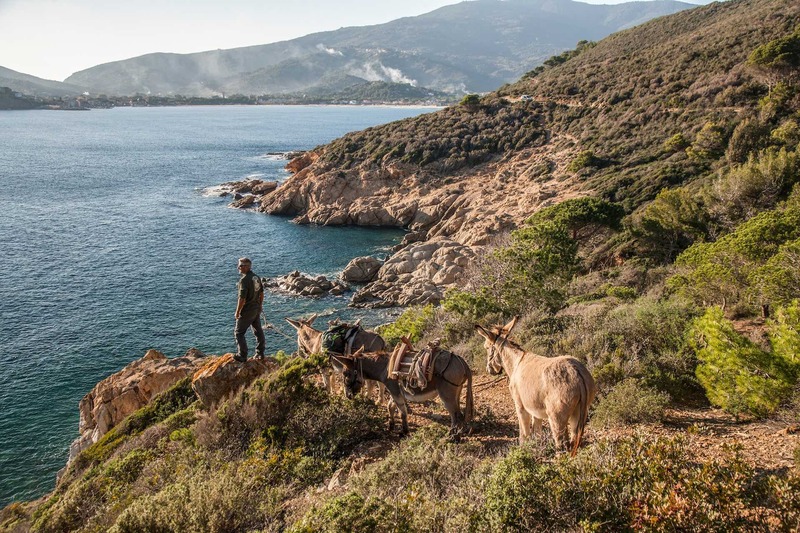 “Through a programme of excursions for people of all ages, the Somareria dell’Elba mainly offers walks in the peaceful surrounds of nature in the company of the calm rhythm of donkeys. When walking with donkeys, one is naturally and spontaneously taken with the empathy and calm that these docile animals transmit to us. This is a new way of enjoying the surrounds of nature, as if the company of a donkey were taking us to a frequency level we are not used to, literally freeing us from the effects of our frenetic lifestyle”. 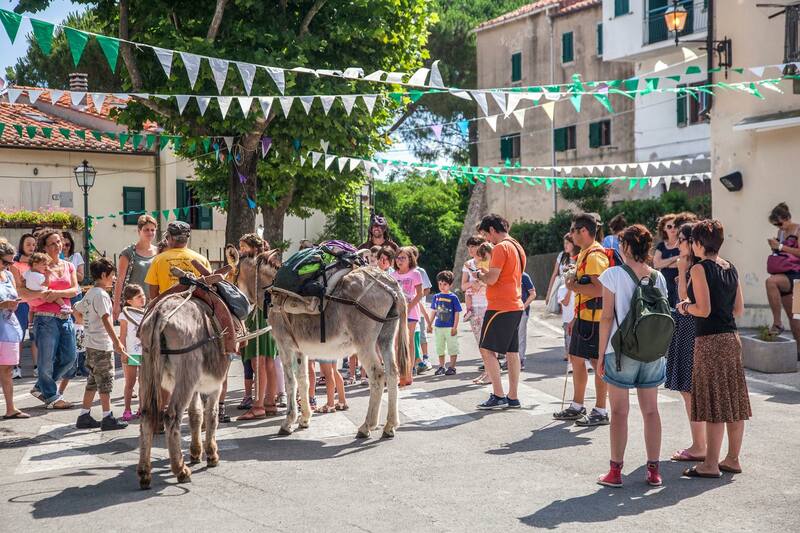 Excursions with donkeys will allow you to discover Elba from both a naturalistic and socio-cultural viewpoint, but more than anything, you will discover the benefits of the relationship between man and donkey. 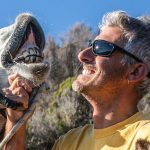 “Walking with a donkey is a new experience, never repetitive or boring as some may think,” says Luca Giusti. “Donkeys are animals that attract and grasp the attention of many, especially when passing through small villages, where there are often crowds of curious people surrounding the donkeys to stroke them and share something with them. The elderly especially love to get close to the donkeys and remember times passed, in which these adorable animals were much more present in our everyday lives”. Whether you are travelling on your own or in a group of single people, we suggest that you stay at this delightful Boutique Hotel, as it has recently been tastefully refurbished and will provide you with a Personal Manager, a travel specialist at your disposal to help you plan your holiday day by day, suggesting the activities or events that may be of most interest to you. Combine a walk in nature with a dinner in one of the most renowned restaurants on Elba, Publius, where you can enjoy typical meat-based specialities and more. 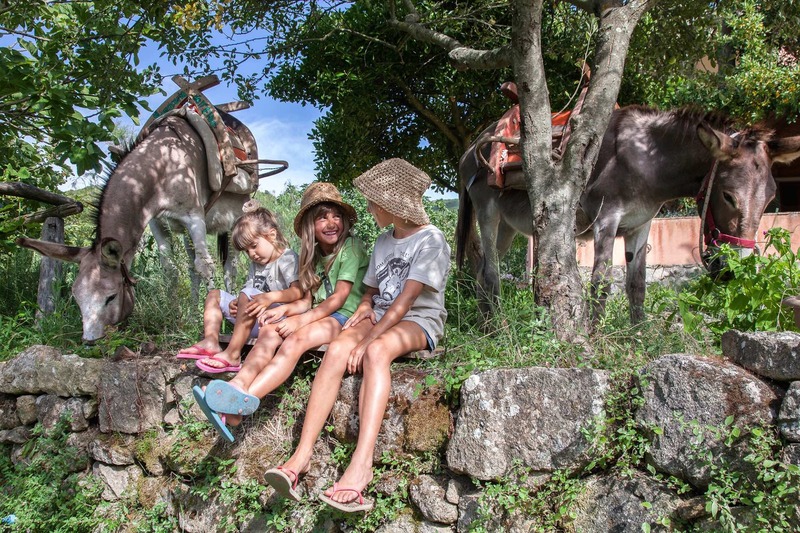 If you are nature lovers, Elba offers numerous walks suitable for families and walks in the company of donkeys are certainly one of the most rewarding and advisable experiences for your children. 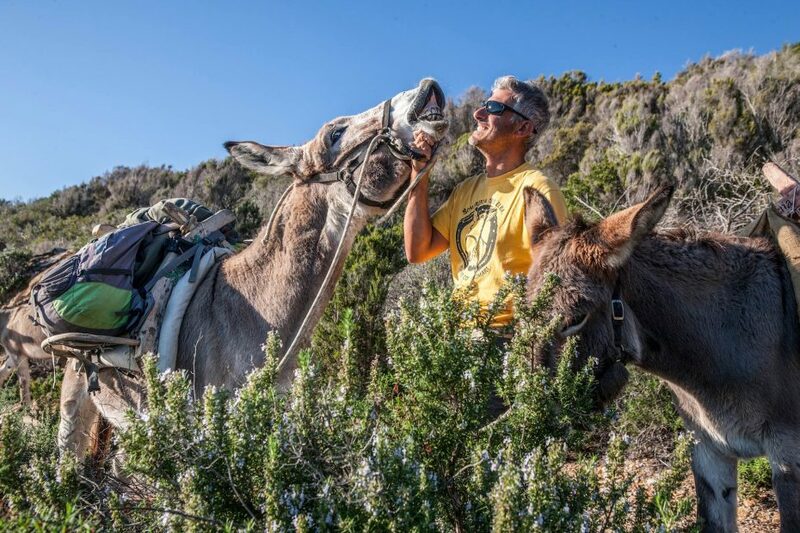 Luca Giusti is an environmental guide and excursionist who created the Somareria dell’Elba project, aimed at promoting a different way of enjoying trekking, walking in the company of donkeys. We thank him for sharing some unforgettable moments with us in the company of donkeys.